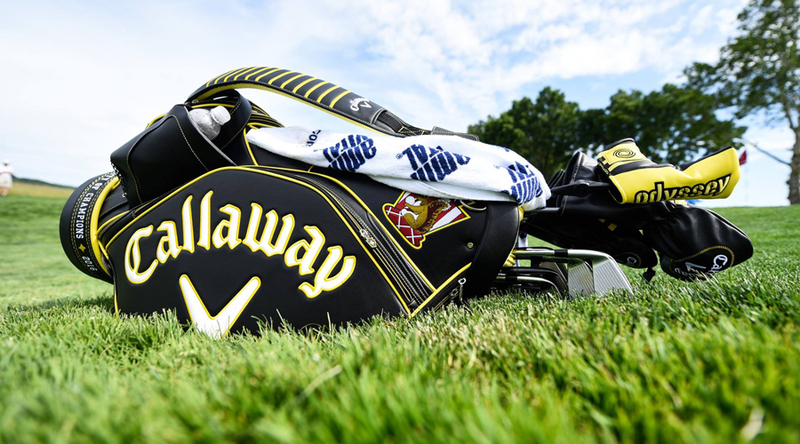 Callaway Golf Co. on Wednesday announced its full year 2018 financial results and provided financial guidance for 2019, including contributions from Jack Wolfskin, which the company acquired in January 2019. For full year 2018, the company’s net sales increased $194 million to $1,243 million compared to $1,049 million in 2017. The 19 percent increase in net sales reflects increases in each of the company’s operating segments and in each reporting region. These increases are attributable to the strength of the company’s 2018 product line, which was led by increases in the irons, putters, golf balls and gear/accessories/other categories. The increase in the gear/accessories/other category is largely attributable to a full year of increased TravisMathew sales as a result of the TravisMathew acquisition which occurred in August 2017. The company’s net sales in 2018 also benefitted from improved industry and macroeconomic conditions, including favorable changes in foreign currency exchange rates which positively impacted the company’s net sales by approximately $14 million in 2018 compared to 2017. For full year 2018, the company’s gross margin increased to 46.5 percent compared to 45.8 percent in 2017. The 70 basis point increase was primarily due to a favorable shift in product mix toward the higher margin TravisMathew business combined with overall higher average selling prices, partially offset by higher product costs due to more technologically advanced products. Operating expenses increased $48 million to $450 million in 2018 compared to $402 million in 2017. This increase is primarily due to the addition in 2018 of a full year of operating expenses from the TravisMathew business, increased employee expenses resulting from increased headcount and inflationary pressures, higher variable expense due to the increase in sales, as well as increased investments in the business to sustain the company’s growth, including investments in R&D, in marketing and tour, and in the OGIO and TravisMathew businesses. For 2018, earnings per share was $1.08, compared to $0.42 for 2017. On a non-GAAP basis, the company would have reported earnings per share for 2018 of $1.07, compared to earnings per share of $0.53 for 2017, a 102 percent increase. The non-GAAP results exclude from 2018 the impact of the Jack Wolfskin transaction expenses and related hedging gains and exclude from 2017 the impact of the 2017 TravisMathew and OGIO transaction and transition expenses as well as certain tax adjustments related to the 2017 Tax Act. For the fourth quarter of 2018, the company’s net sales decreased $11 million to $181 million compared to $192 million for the same period in 2017. The 6 percent decrease in net sales was better than the company had planned and reflects the 2018 product launch cadence, which was heavily weighted toward the first half of the year. Changes in foreign currency rates negatively impacted the company’s fourth quarter net sales by $1.4 million. For the fourth quarter of 2018, the company’s gross margin was 38.7 percent compared to fourth quarter 2017 gross margin of 41.6 percent. The 290 basis point decrease was primarily due to the overall decrease in sales volume as referenced above as well as higher product costs due to more technologically advanced products in the 2018 product line. The company’s non-GAAP guidance for 2019 excludes the impact of the purchase accounting related to the Jack Wolfskin, TravisMathew and OGIO acquisitions as well as $0.06 of non-recurring transaction and transition expenses related to the Jack Wolfskin transaction. For consistency and comparability purposes, the 2018 non-GAAP adjusted results presented below also exclude the non-cash purchase accounting amortization for the OGIO and TravisMathew acquisitions as well as the $0.01 of non-recurring transaction income related to the Jack Wolfskin acquisition. The company estimates full year 2019 net sales growth of 34 percent – 37 percent. The increase is driven by 4 percent – 6 percent growth in the core golf equipment, apparel and accessories business with the balance coming from the addition of the Jack Wolfskin net sales. This assumes a flat to slightly improving overall golf market and no material change in foreign currency exchange rates, which are expected to have a negative $6 million impact on 2019 net sales compared to 2018 with most of the impact occurring in the early part of the year. The company estimates that its 2019 gross margin will be approximately 50 basis points higher than 2018. This increase is being driven by continued pricing opportunities as well as a positive mix benefit of the TravisMathew and Jack Wolfskin businesses, which generally have higher gross margins than the company’s golf equipment business, partially offset by the negative impact of changes in foreign currency rates and anticipated tariff rates. The company estimates full year 2019 earnings per share of $0.93 – $1.03, which includes approximately $34 million of incremental interest expense related to our Term Loan B financing completed in January. The company’s 2019 earnings per share estimate assumes an effective tax rate of approximately 22 percent which is higher than 2018 due, in part, to the higher tax rate related to the Jack Wolfskin business. These estimates also assume a base of 97 million shares in 2019, approximately flat with 2018. The company estimates full year 2019 Adjusted EBITDA growth of 19 percent – 28 percent when compared to 2018. This increase is driven by growth in the core business and an estimated additional $33 million from the Jack Wolfskin business, partially offset by increased tariff expense and adverse changes in foreign currency exchange rates. Adjusted EBITDA excludes non-cash stock compensation expense, as well as non-recurring transaction and transition expenses related to the Jack Wolfskin transaction. Basis for First Quarter and First Half 2019 Non-GAAP Estimates. In order to make the 2019 guidance more comparable to 2018, as discussed above, the company has presented 2019 first quarter and first half guidance, as well as the comparable periods in 2018, on a non-GAAP basis. The non-GAAP presentation excludes non-cash purchase accounting amortization and non-recurring transaction and transition expenses related to the TravisMathew, OGIO, and Jack Wolfskin acquisitions in the amounts of $0.14 – $0.17 for the first quarter of 2019 and $0.16 – $0.19 for the first half of 2019. The effect of these items on the first quarter and first half of 2018 were nominal. The decrease in the estimated earnings and Adjusted EBITDA for the first quarter and first half of 2019 compared to the same periods in the prior year reflect the intra-year timing of the company’s earnings. In 2019, a greater portion of the earnings are anticipated to occur in the second half of the year as compared to 2018 due to (1) the seasonality of the Jack Wolfskin business which generally results in only a nominal operating profit in the first quarter and an operating loss for the second quarter, (2) more golf equipment new product launches in the second half of 2019 and less in the second quarter of 2019 compared to the same periods in 2018, (3) the negative impact of changes in foreign currency exchange rates in the first half of 2019 compared to 2018, and (4) the timing of the incremental investments in 2019 which are weighted more heavily to the first half.